When it comes to wedding occasions, Its not about the Groom clothes only men need to pay attention to the little things that are to be done for the wedding from ceremonies to dressing and grooming. Indian Grooms on the other hand have lots to take care of as they also have to attend more than one ritual during their wedding. 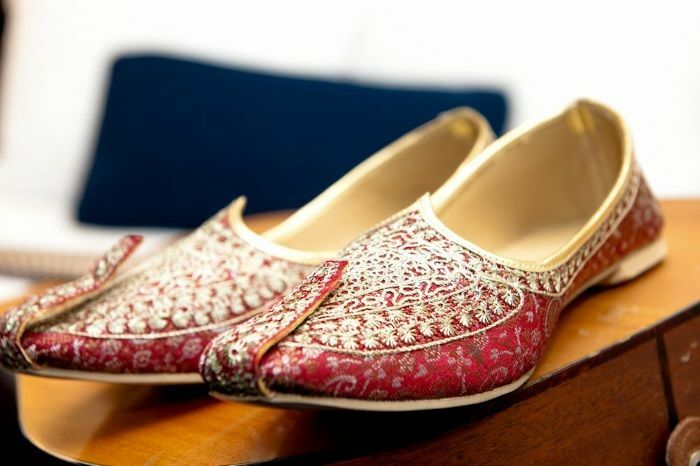 We will be covering the little details from grooming, Wedding Paagdi, Wedding clothes, Wedding footwear, Wedding Jewllery and accessories and more for the Indian groom and what really he should choose form color, style as per his occasions. 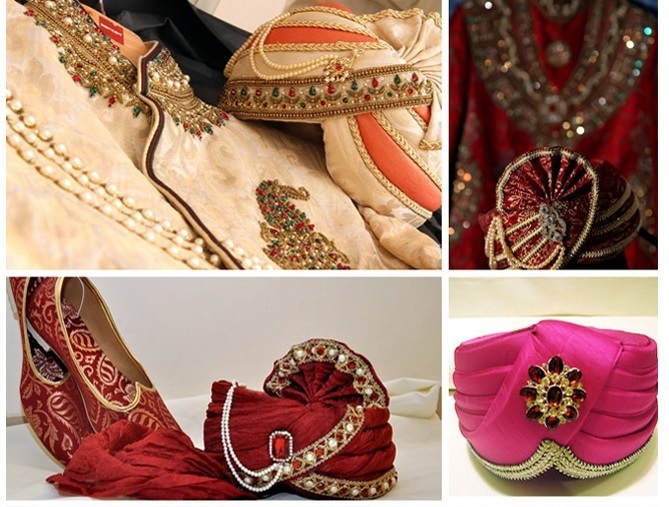 We will be looking at the types of colors and styles one should carry for his wedding as per the trend 2018 and also as per the occasion of ceremonies. The main sherwani for the groom needs to be something which is catchy and as per trend with a little bit of statement style of embroidery. Go for colors like golden, maroon, white or cream. The sherwani can be a have a new neck cut lapel or a simple straight cut placket with work along the edges or a sherwani and dhoti. Fabrics best are the embossed velvet or zari weave velvet, brocade, jamawar, plain jute silk or raw silk and also linen or a weaved fabric. A great way to wear your reception or sangeet outfit is with more trends like a indo western sherwani which would be a short length sherwani jacket and in plain or different weave patterned fabric. 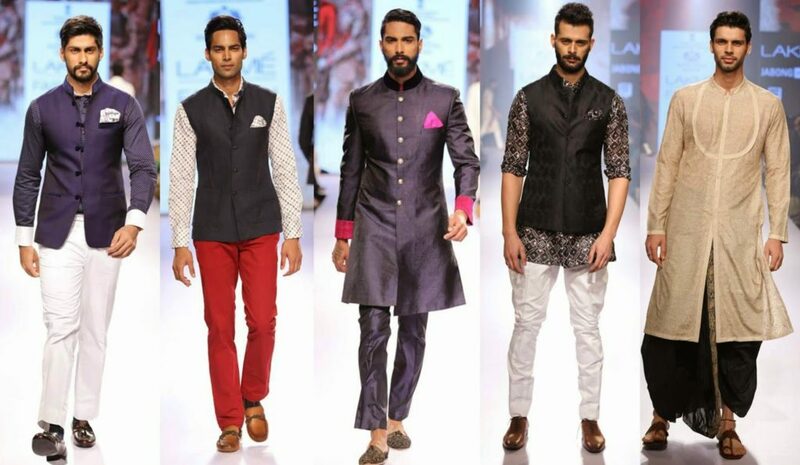 Worn in a short jacket style over a inner short kurta and pants. 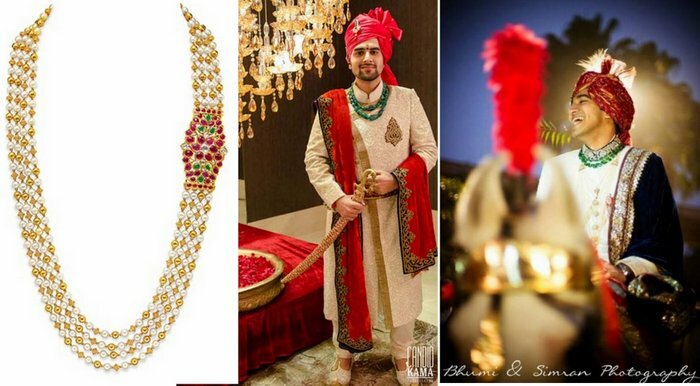 A luxurious fashion attire for the groom would be using royal fabrics like chikankari sherwani jacket, crochet Sherwani jacket or the historical popular angarakha style sherwanis and also the sherwani with a cummerbund. For a function which requires a grand look, also try the pastels as they are in, go for peach and nudes with prints or plain. A Light blue patterned jacket sherwani and bottoms are a great choice for the reception. The black hue is not much worn at weddings but a good art for your cocktail party or reception, the velvet bandhgala jacket with Big Golden Buttons would work wonders for a classic all time fav look. Also try a plain black kurta pyjama with an embroidered red or maroon stole for your sangeet for any other casual ceremony at the wedding. Keep the look simple for pujas, mehendi or haldi for a groom, go with light shades and yellow tints for this in pathani suits, kurta suits or even try the waistcoat sets to look like a well groomed groom. Every style will need to have a nice look with grooming from hair cut, a suitable beard shave or trim and also some nice groom wedding accessories to match your look like watches, a cuff or just a plain mala on your neck.